You've probably seen these maps before, but did you know that in 2013 they had to add a colour? 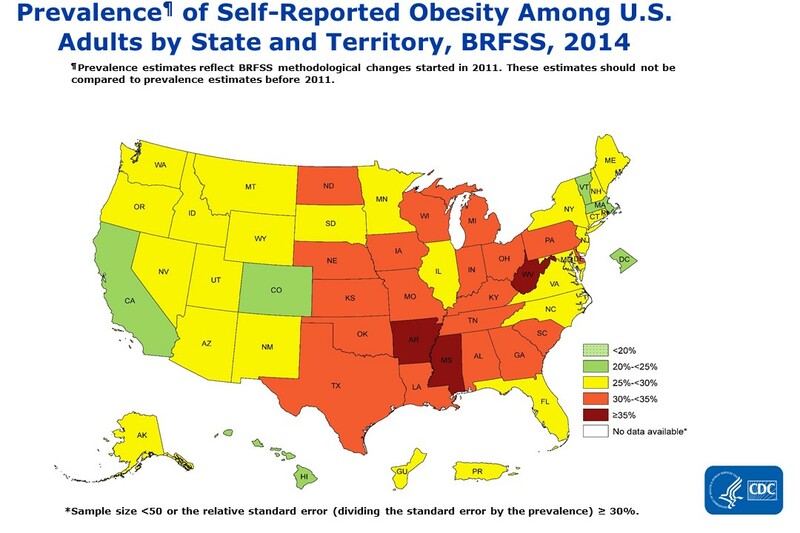 If you haven't seen the maps, they're from the CDC and they document the march of obesity in America over time. As the colours change, America gains weight, and in 2013 the first of now 3 States' rates of obesity cleared 35%. Here's a thought. Maybe rather than continuing to talk about rising weights governments start doing something about it? And given people haven't been purposefully trying to gain, and yet gaining we are, it's clear the environment also needs intervention as talking about personal responsibility doesn't seem to be doing the trick. Sure it's always a good idea for people to know how to swim, and yes we should continue to encourage and provide swimming lessons, but this flood needs a levee.